* Electronic door locks. 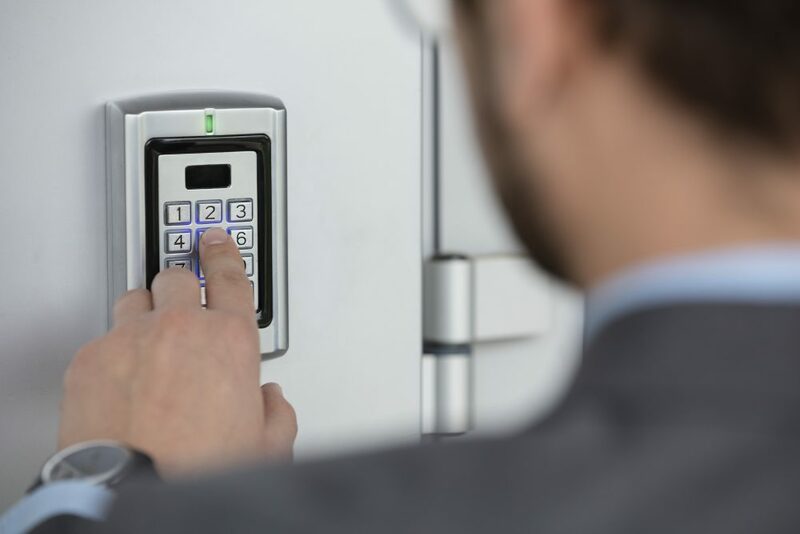 For businesses, electronic door locks can be very handy. Since they are electronic, they do not need a key and can be reprogrammed as often as necessary, adding an element of increased security without the need for manually changing locks and keys. Business owners can find peace of mind knowing they can reset essentially their entire security system with a new coding sequence. Mul-T-Lock, Master Lock, Baldwin and Schlage offer different systems to consider. * Keypad lock. Typically, a keypad lock system is found as part of apartment complexes or used in employee-only doors in a large corporate complex. Simplex locks are commonly used for a keypad lock as they design push button pads that allow entrance to a building. Simplex locks and other keypad systems provide owners and managers with an easy way to upgrade their security system by simply changing the access code. We can review options available from Kwikset locks, Medeco lock, Arrow and Yale to find something that suits your needs. * Keyless entry. Today when most people think of keyless entry, they think of newer automobiles that provide access to a vehicle without actually inserting a key into a lock. In many cases, these push button controls can now even start the car itself. A keyless entry system can also be used for accessing a building without using a physical key. 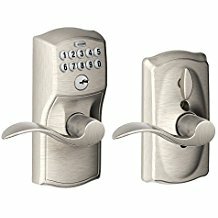 They are essentially electronic locks that are controlled remotely. * Combination door lock. These locks provide a mechanical device, usually installed on the main door of a multi-unit complex like an apartment building or office complex. To gain access to the building, the correct sequence of numbers needs to be punched into the combination door lock before opening the door. The sequence of numbers can be changed as necessary to provide ongoing increased security. Manufacturers such as Adams rite locks, MARKS USA and Corbin Russwin offer combination lock options. We can access product as well as provide combination lock repair install & service. When you are ready to install a combination lock system or upgrade your current system to be a combination lock system instead, be sure to call us 718 445-9200. Businesses located in Brooklyn, Queens, Long Island, Manhattan and NYC rely on our locally owned and operated NY company for top combination lock repair install & service. Our professionals are standing by to offer affordable prices and fast arrival times. Looking for Combination Lock Repair Install or locksmith service? Call (718) 445-9200 we can be in any location in Queens, Brooklyn, Long Island, Manhattan & NYC Metro in less than 30 minutes. Bonded & Insured. 15 Min Response. Free Estimate. Call For Immediate Dispatch!